Do We Have A Secret? Mark 7:31-37. Jesus ask the people not to tell. 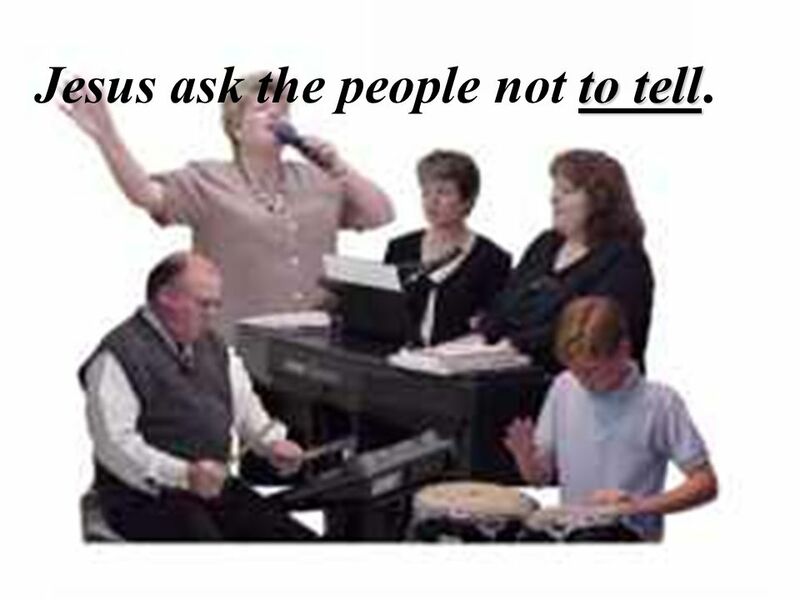 to tell Jesus ask the people not to tell. 2 Jesus ask the people not to tell. to tell Jesus ask the people not to tell. 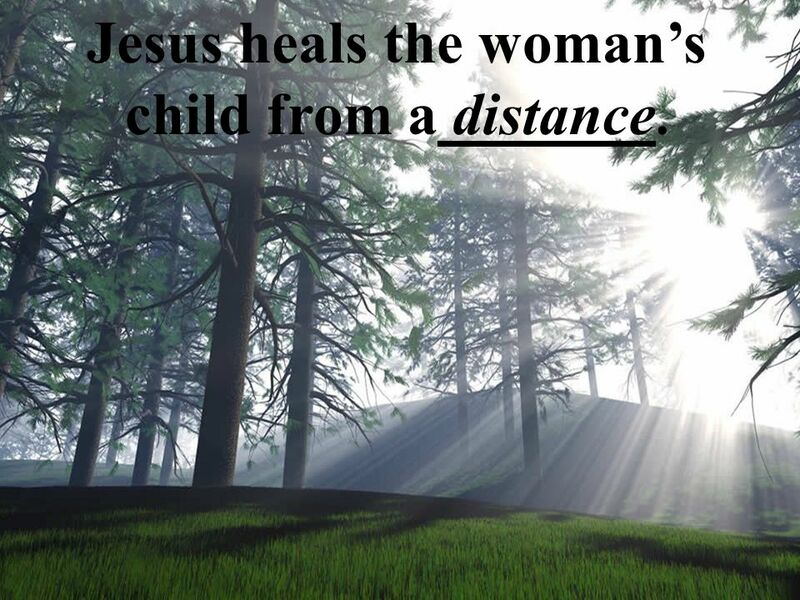 4 Jesus heals the womans child from a distance. 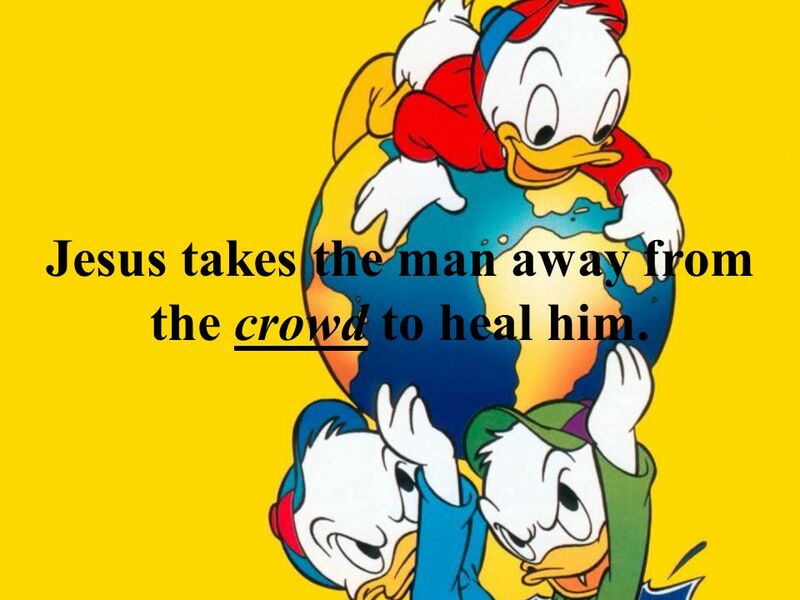 5 Jesus takes the man away from the crowd to heal him. 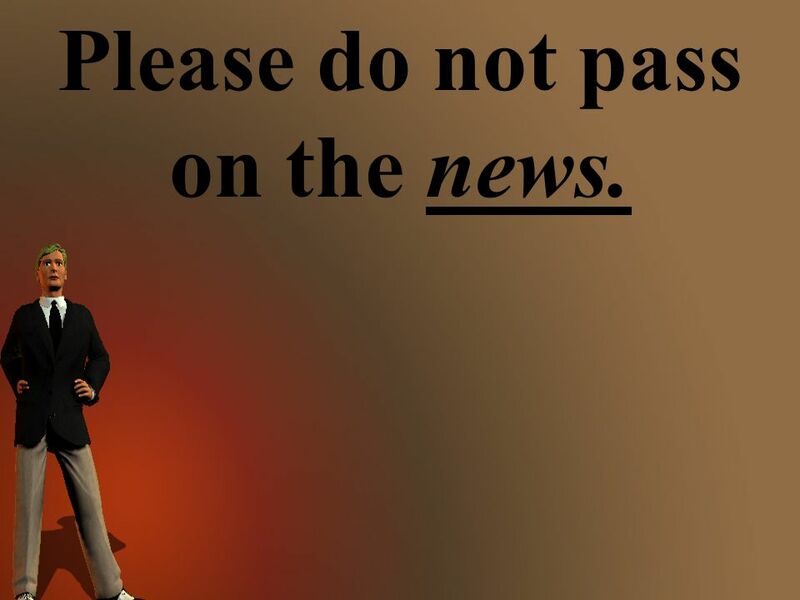 6 Please do not pass on the news. 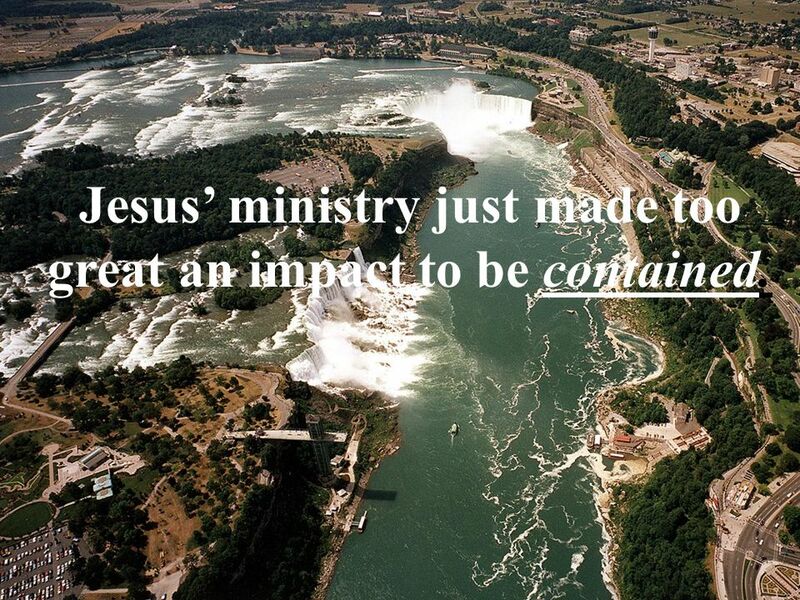 7 Jesus ministry just made too great an impact to be contained. 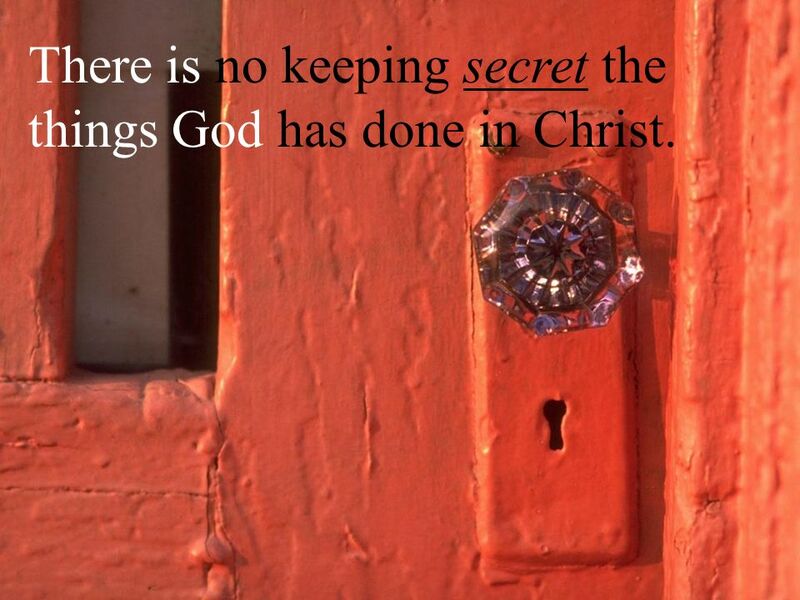 8 There is no keeping secret the things God has done in Christ. 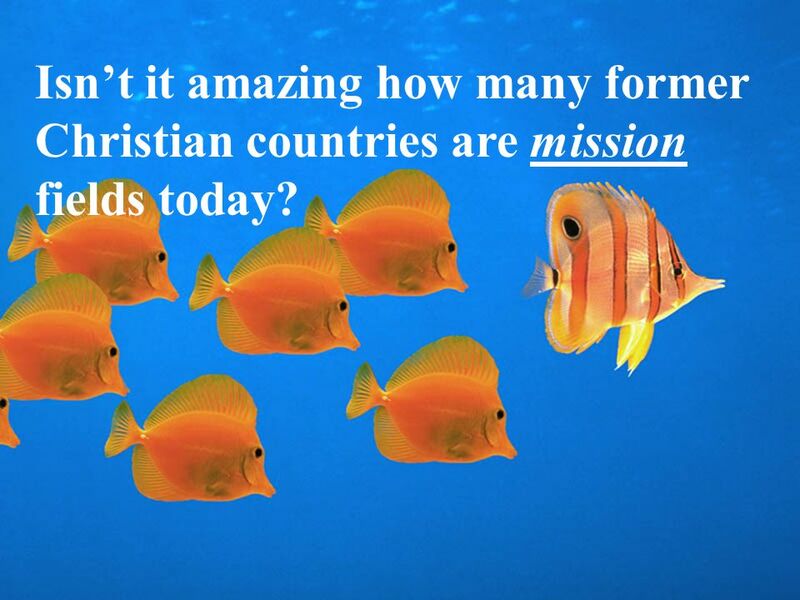 9 Isnt it amazing how many former Christian countries are mission fields today? 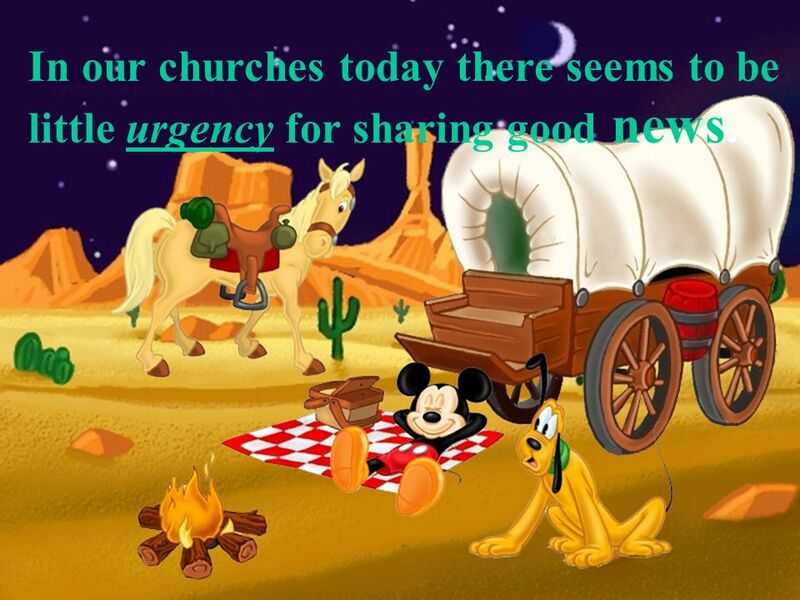 10 In our churches today there seems to be little urgency for sharing good news. 11 Jesus has done everything well. 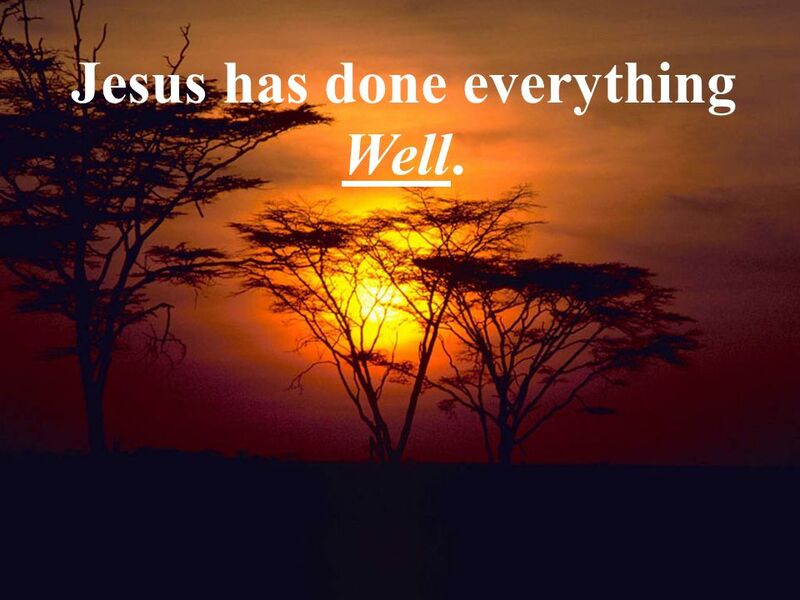 Jesus has done everything Well. 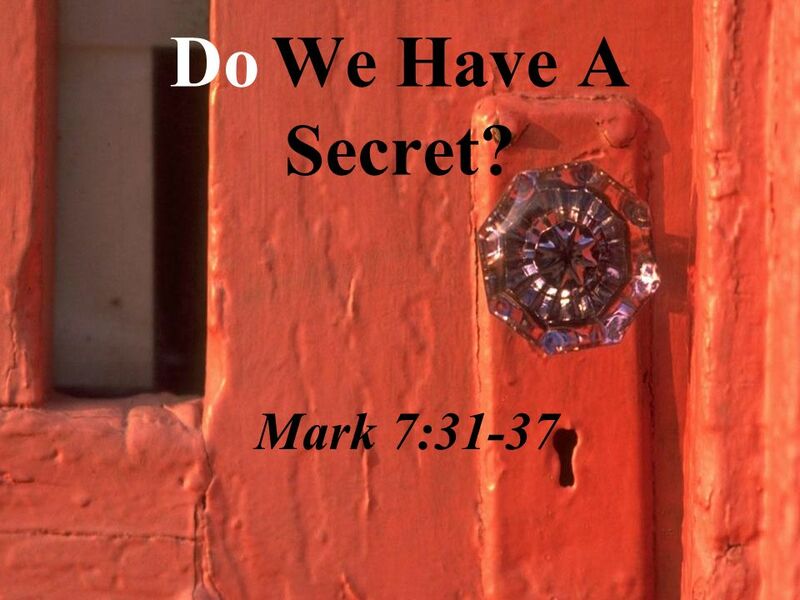 Download ppt "Do We Have A Secret? Mark 7:31-37. Jesus ask the people not to tell. to tell Jesus ask the people not to tell." If We Are The Body It's crowded in a worship today As she slips in Trying to fade into the faces The girls' teasing laughter is carrying farther than. Matthew 9: Jesus went through all the towns and villages, teaching in their synagogues, preaching the good news of the kingdom and healing every. Making the Most of our Walk with God Part 2 The Power of Prayer & Fasting. Copyright © Simon G. Harris Scripture quotations taken from the HOLY BIBLE, NEW INTERNATIONAL VERSION. Copyright © 1973, 1978, 1984 by International Bible. The Authority and Mercy of Jesus. Mark 5:35-41 On that day, when evening had come, he said to them, “Let us go across to the other side.” And leaving. Mark Ch 1:16 (NRSV) As Jesus passed along the Sea of Galilee, he saw Simon and his brother Andrew casting a net into the sea- for they were fishermen. Focus On Jesus Hebrews 12:2. Week 1 Prayer Generosity Service. Shaping Hearts For God Series High School Bible Class Vegas Drive Church of Christ Las Vegas, NV Studies in the Life. Healthcare Ministry Basics for Leaders Jesus’ Ministry. Proposal for Youth and Family Ministry in the Church. Mark Crossing Over. 24 Jesus left that place and went to the vicinity of Tyre. He entered a house and did not want anyone to know it; yet He. Are you looking for …  New Friendships  Encouragement for Your Marriage  Prayer Support  Building Blocks of Faith for. The REALLY Amazing Race !!!. “…Let us throw off everything that hinders and the sin that so easily entangles, and let us run with perseverance the race. Scriptures in New Living Translation Today’s Sermon Power of the Cross.